SmartWord4TFSTM is a Microsoft Word plug-in that enables you to seamlessly integrate Microsoft Word with Visual Studio Team Foundation Server. SmartWord4TFSTM is a Microsoft Word plug-in that enables you to seamlessly integrate Microsoft Word with Visual Studio Team Foundation Server. SmartWord4TFSTM provides Work Item management for Team Foundation Server. This allows business analysts to use Word to author requirements specification’s and save them to TFS with the click of a button; managers may create status reports and business stakeholders may submit defects, issues and change requests directly to TFS from Word. Access Any TFS Process Templates. Employ predefined TFS process templates for Agile, SCRUM, and CMMI, as well as custom process templates and author requirements in it based on the Work Item types they support. Author TFS Work Items and Publish to Team Foundation Server. 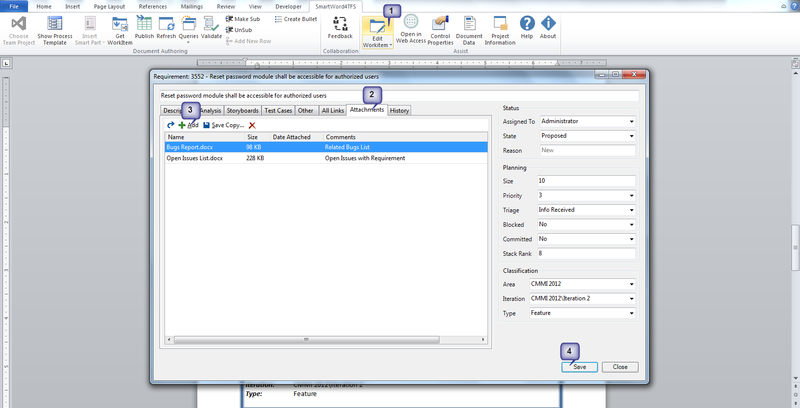 Create new requirements and instantly publish them to TFS as linked Work Items within a hierarchy. Also, retrieve Work Items from TFS, revise them, and then update TFS with the changes, including revisions to the Work Item hierarchy. 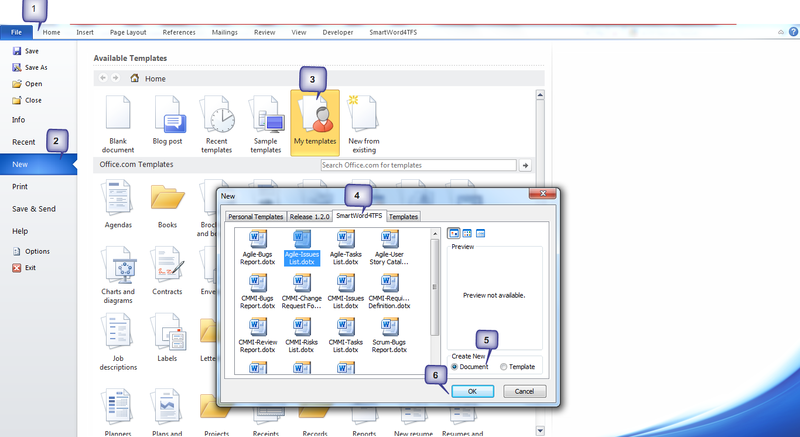 Keep Documents Live with TFS Work items. Maintain Word documents in constant sync with TFS (via a two-way connection) so that they never get stale, and stay up to date throughout the requirements definition process.